Ian Dallas, now known as Shaykh Abdalqadir as-Sufi of the Murabitun Worldwide Movement, is a Scotsman who converted to Islam in 1963, and began studying Sufism with the Darqawi Order in Morocco under Shaykh Muhammad ibn al-Habib. 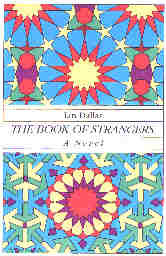 “The Book of Strangers,” which was first published in 1972, is set in an unidentified time and place, although it is clearly a Western nation at some point in the future. The book’s unnamed narrator is a university librarian who lives in a society which has become completely secular, apart from the wild desert zones where nomads are allowed autonomy (it is suggested that these desert nomads are Bedouin, although they are never called so by name). The books in libraries are no longer accessible except to a very select few librarians, while the average reader is given access only to information on a specified topic that has been preprocessed by the library’s computer. The narrator finds himself longing for something in his life that he cannot himself identify, and he can find no answers among the neurotic, disturbed intellectuals with which he has surrounded himself at the university. He eventually discovers some ancient Sufi writings in the library, and, although baffled by them at first, decides that these are ushering him to the path that he must take to quell his longings. After a series of mystical signs and suggestions, he decides to take a sabbatical during which he sojourns in (although never identified by name in the text, it can be identified through subtle hints) North Africa. There, he soon discovers Islam and becomes a Muslim, and then enters a Sufi order, where he discovers a meaning to life and a type of knowledge that he could never have found during his life at the university.